Christmas has been a busy time, so my blog has been a little neglected. Here's a few to carry on with from my archives. 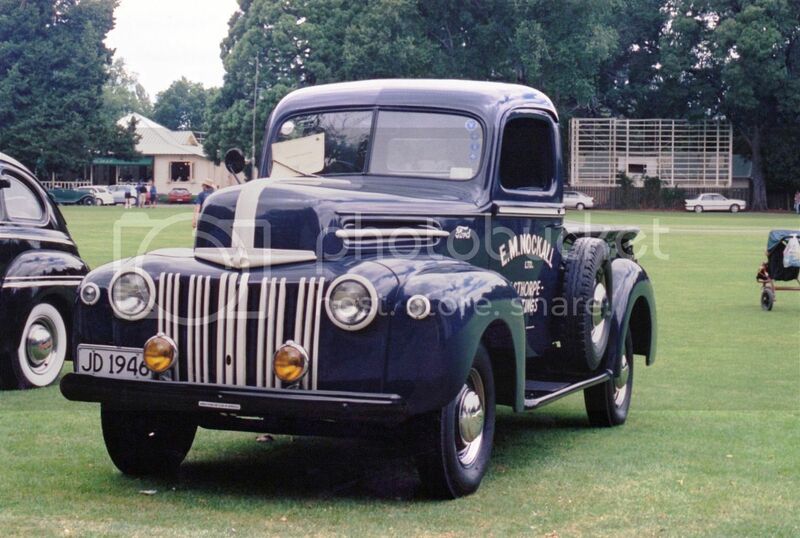 1946 Ford Pickup at a Ford gathering in Queen Elizabeth Park in Masterton. 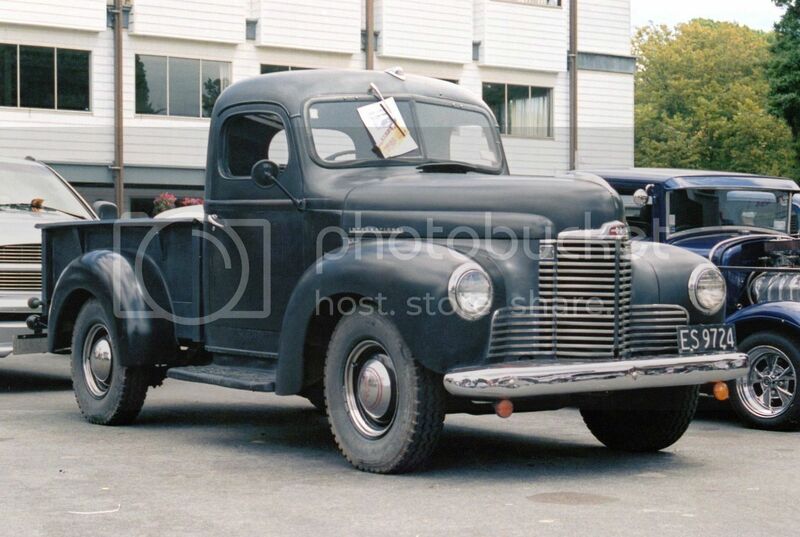 At the same meeting, a 1938 Ford 3 ton. 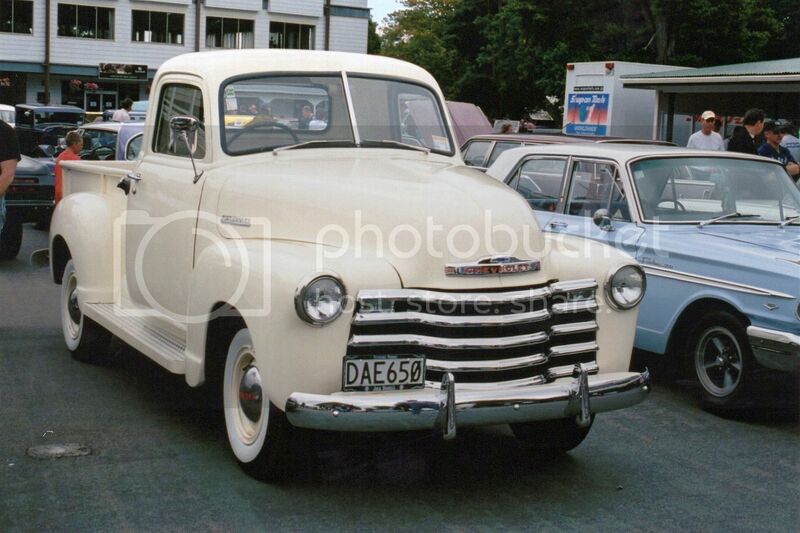 1949 Ford Ute at Masterton. 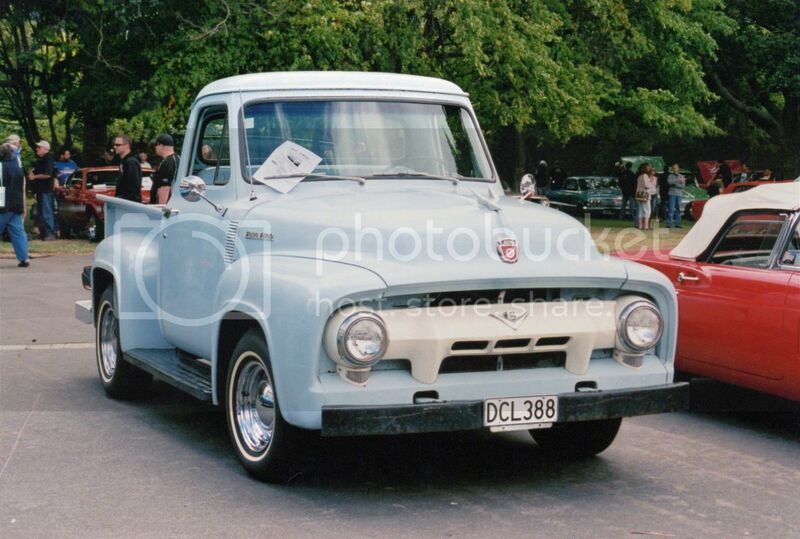 Very nice Ford F100 from 1954. Even the non-standard wheels look right on this. 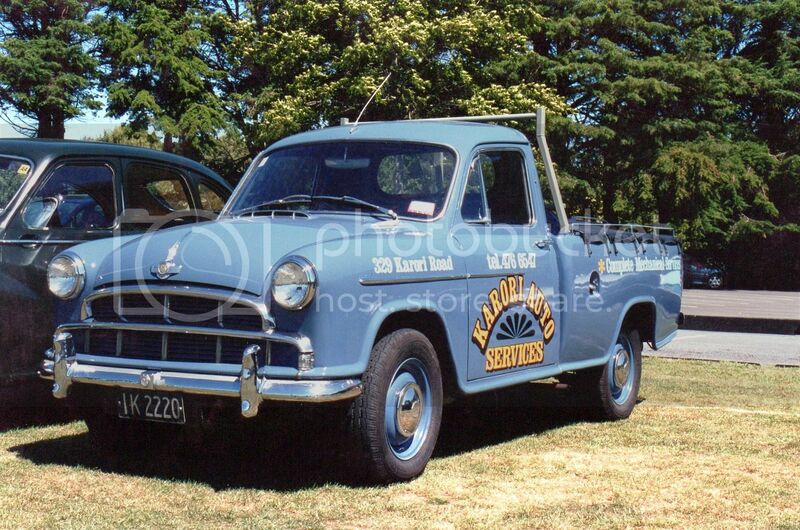 From one of the British Car Days held at Trentham Park each February, a 1961 Morris Half Ton. 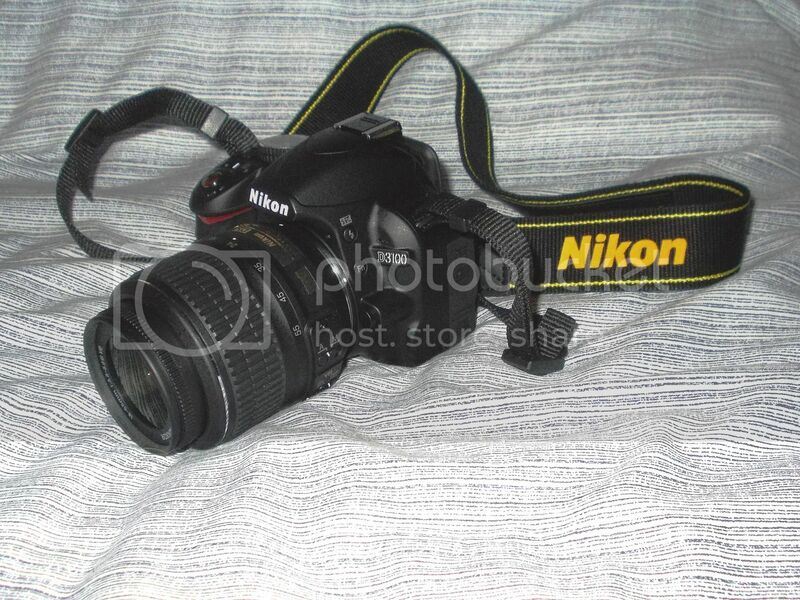 This week I have finally bought myself a digital SLR camera. At last I may be able to get some snaps of equivalent quality to my old film SLR. Though a bigger zoom lens might have to be on my buying list. I had to fly to a funeral in the South Island only a couple of days after getting it, so here a few shots associated with the trip to Blenheim. The new camera in all its glory ! 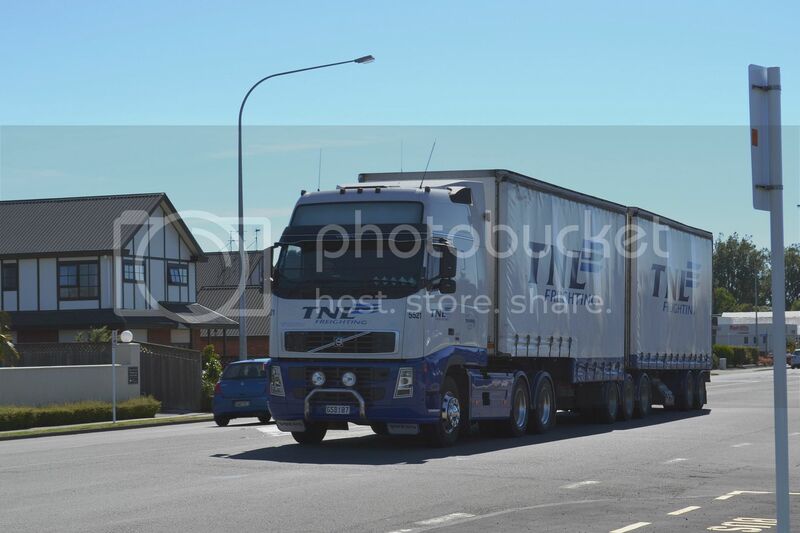 TNL Volvo FH520 with B-train near Springlands in Blenheim. 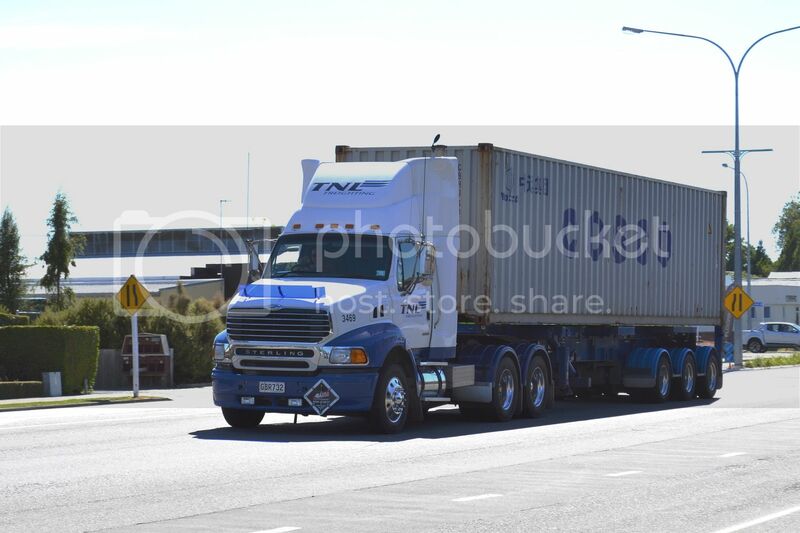 Another TNL rig in the same place with 40ft container. 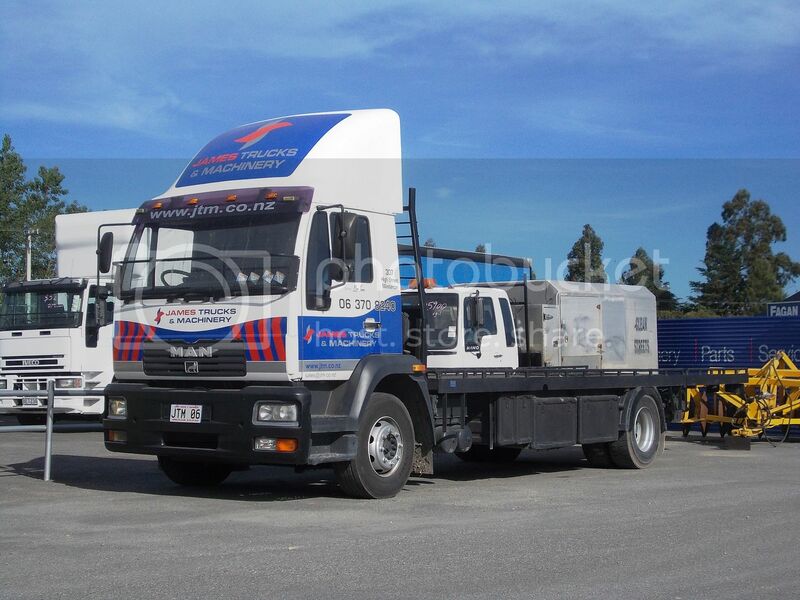 This one is a 2004 Sterling 9500. 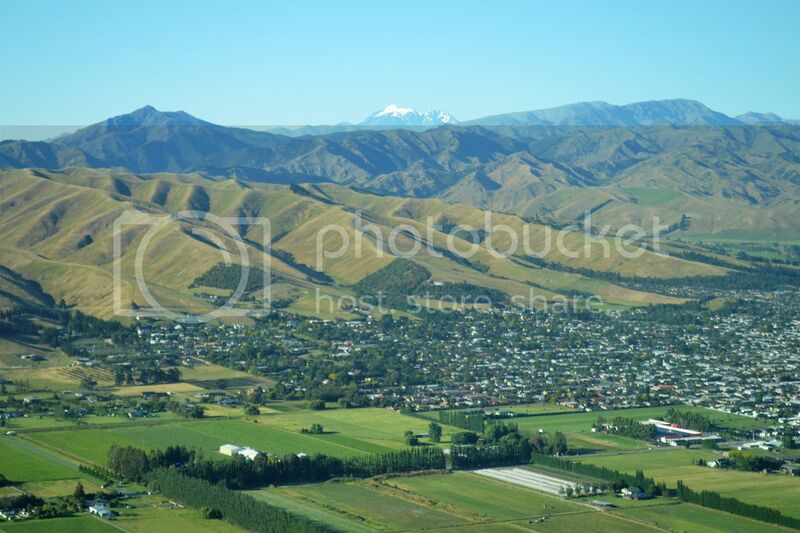 Descending into Blenheim with the snow covered peak of Tapuaenuku (2885m) in the background. 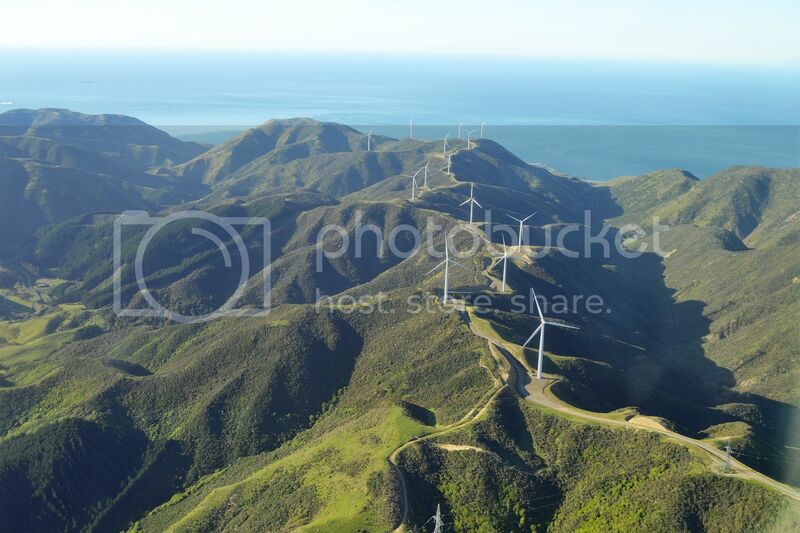 The windmills at Makara on the climb out of Wellington. 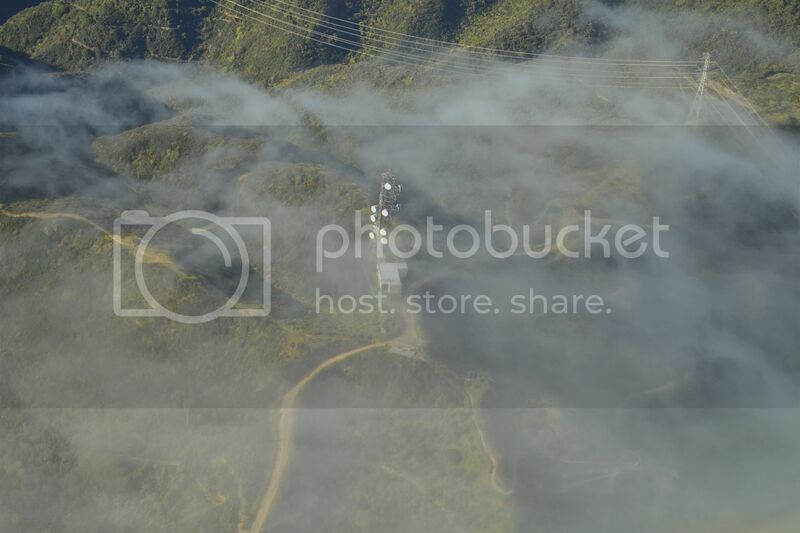 Communications tower under a silky veil near Wellington. Crossing the coast on the approach to the South Island. 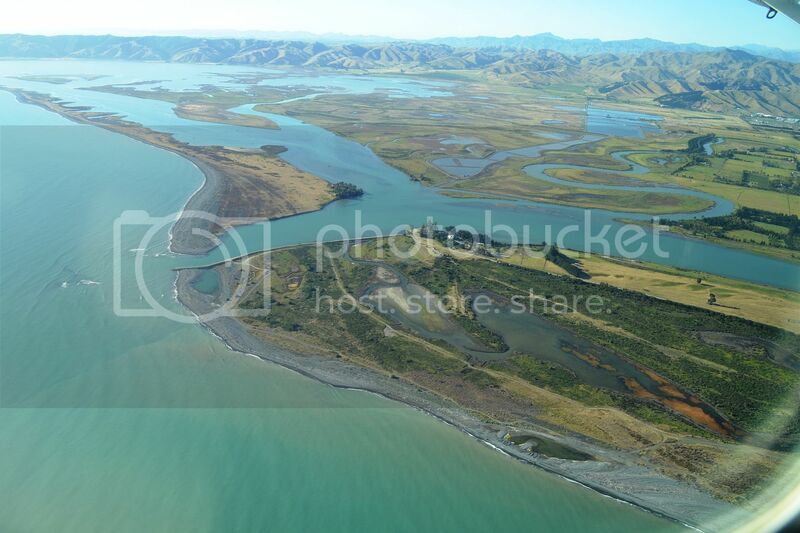 Here are a few recent photos taken around the Wairarapa area. 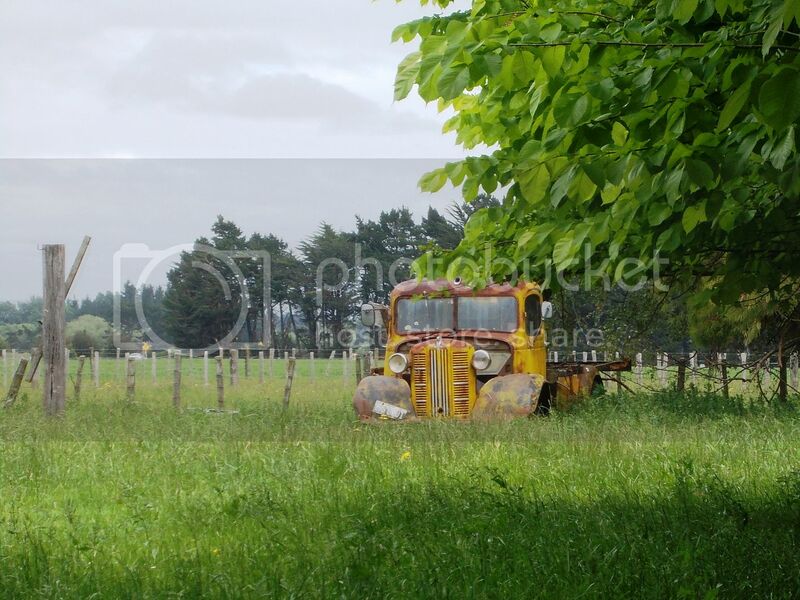 Old Birmingham Bedford (Austin) awaits restoration near Carterton. That's if isn't left out in the elements for too long. 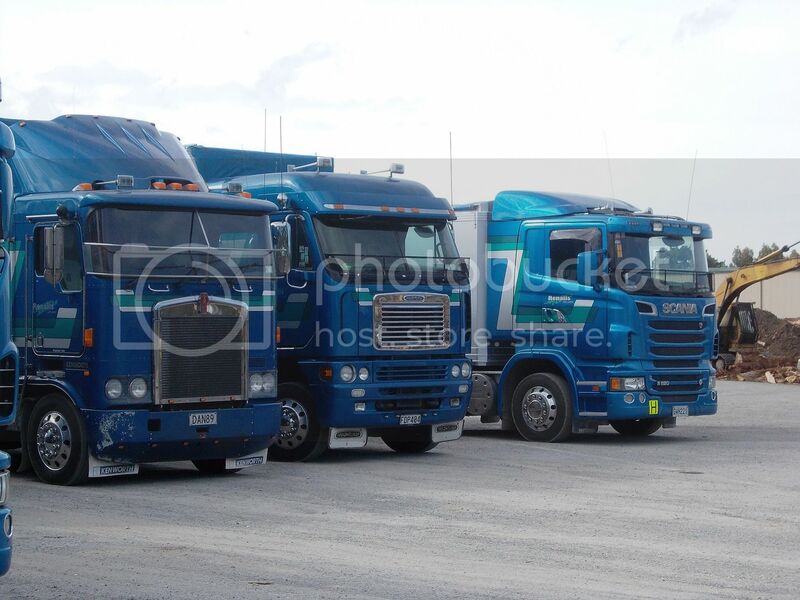 Kenworth, Freightliner and Western Star in MacAuley's yard at Solway. Difficult to get a clean photo here, with the proximity of wires and pylons. 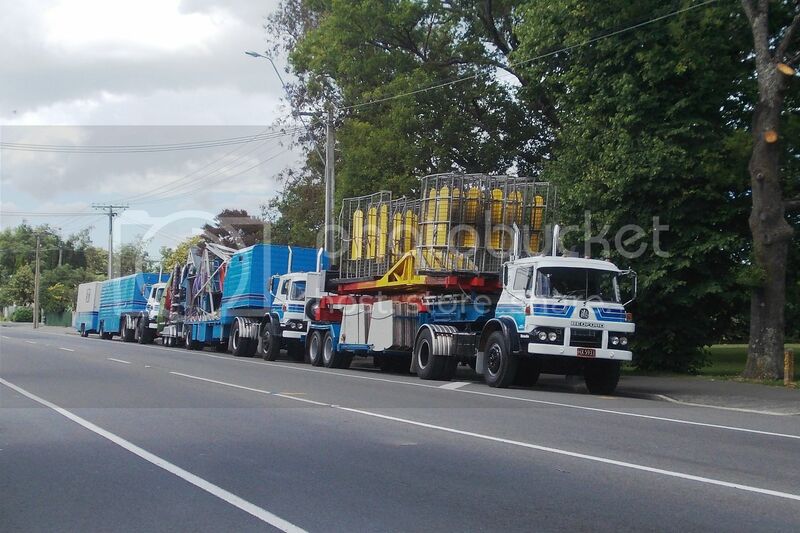 Opposite Macauley's is Buchanans, which has recently added a new DAF to their fleet, seen here alongside their 2007 Hino and 2004 Mitsubishi Shogun..
Again, a pylon gets in the way. 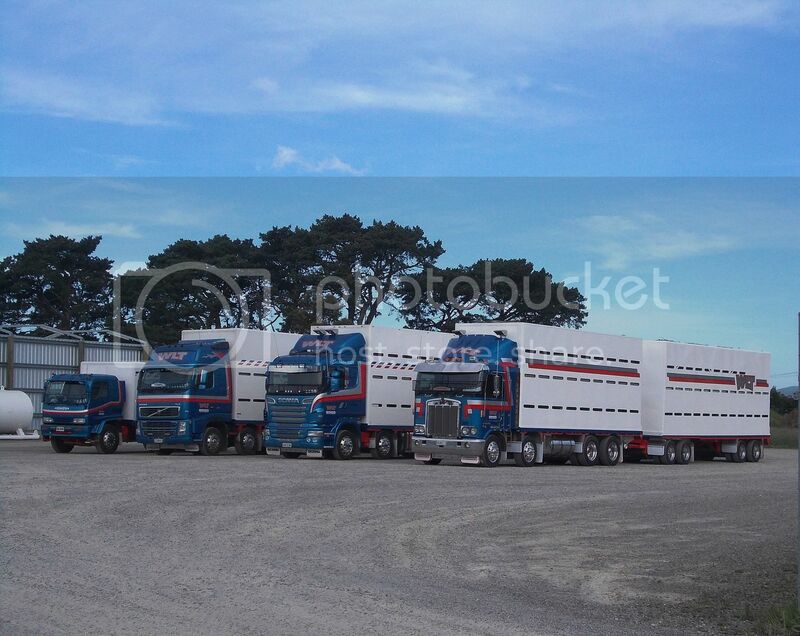 Wairarapa Livestock Transport (previously David Pope) has a mixed fleet. 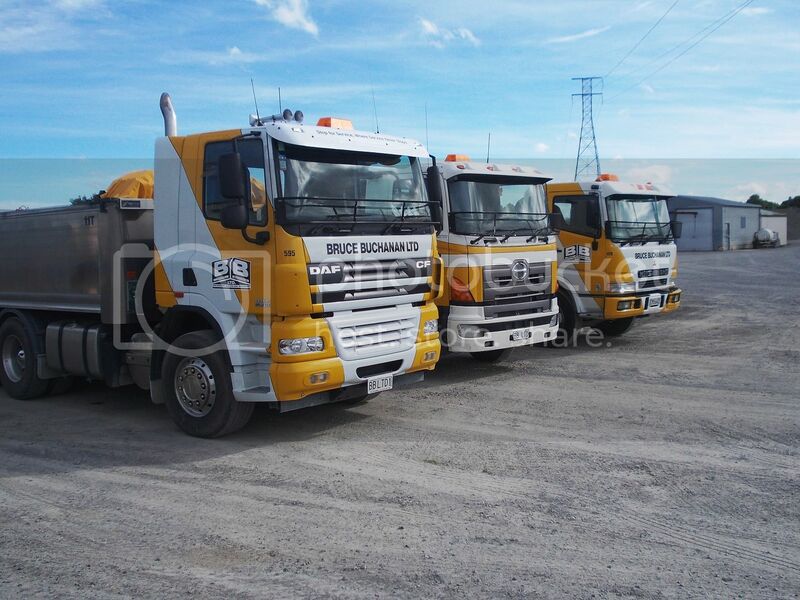 Little Isuzu shares the yard with 2005 Volvo FH16 610, 2011 Scania R620 and 2005 Kenworth K104. 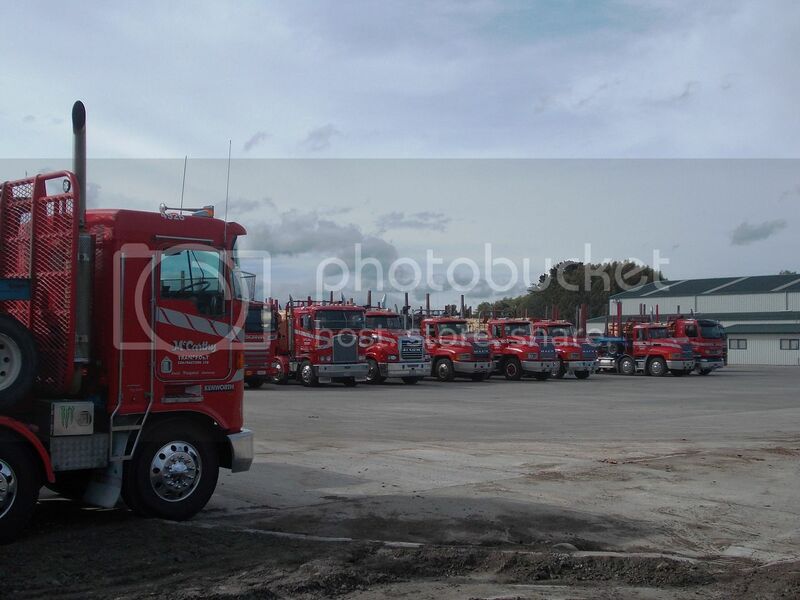 McCarthy's Masterton yard consists mostly of Kenworth and Mack. 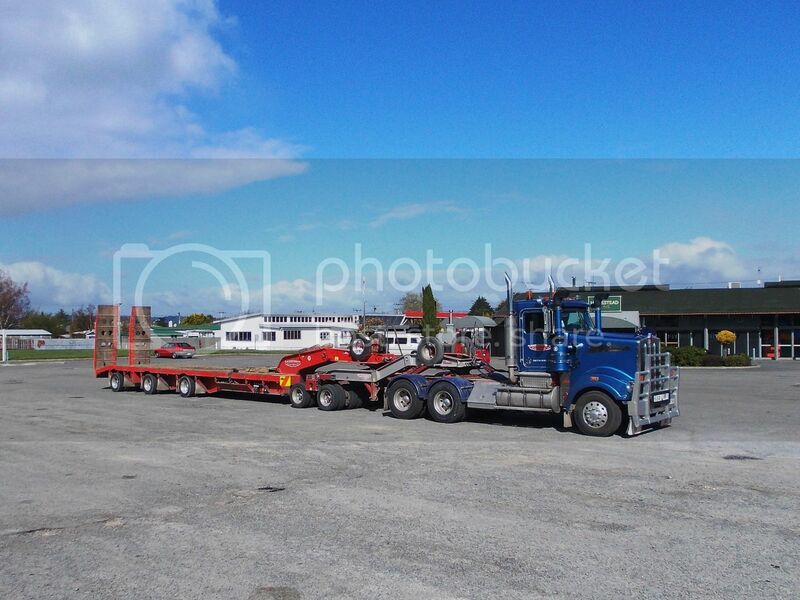 New Scania R620 in the Renall's yard with 5 axle trailer.. 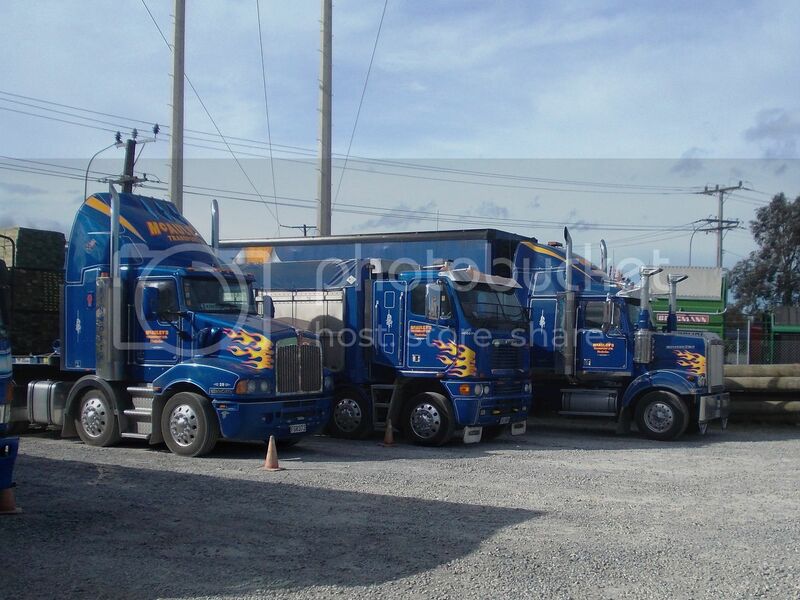 Older Kenworth (2005 K104) and Freightliner (2009 Argosy) with 2013 Scania R620. 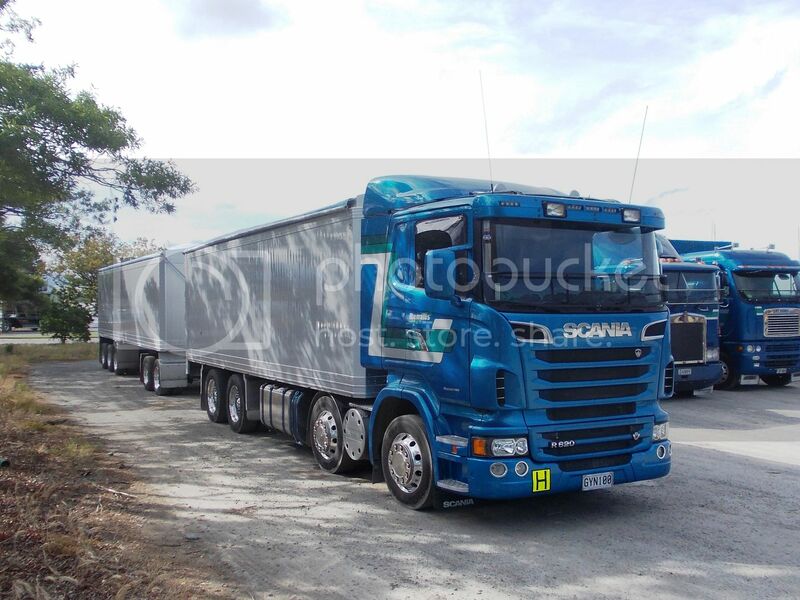 Is there a progressive change to Scania? 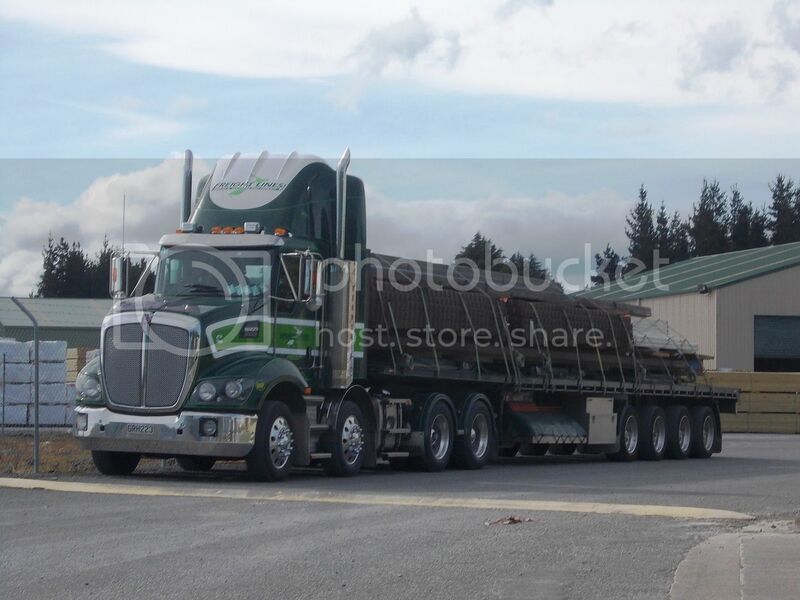 Freightlines 2013 Kenworth T408 in Kiwi Lumber yard with a weighty load of steel. is about to spend a night in the car park at Copthorne Solway Park Motor Inn. 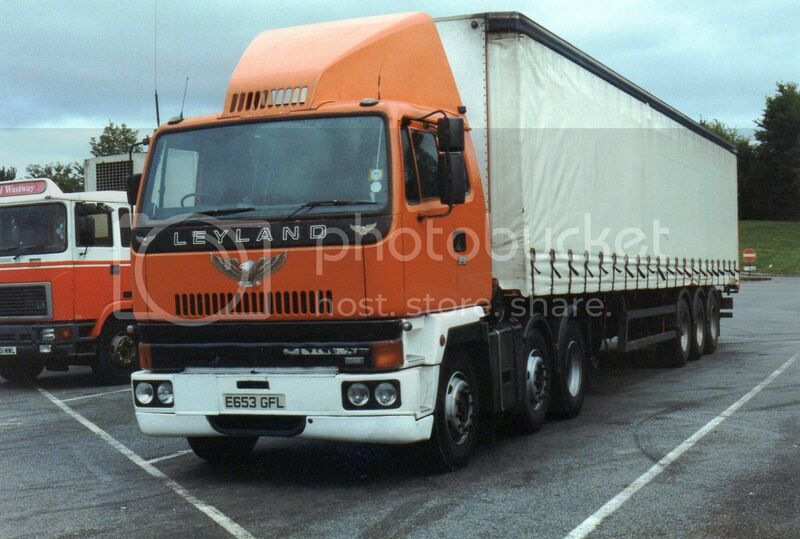 Neat little MAN 15.220 from 2004 of James Trucks and Machinery. 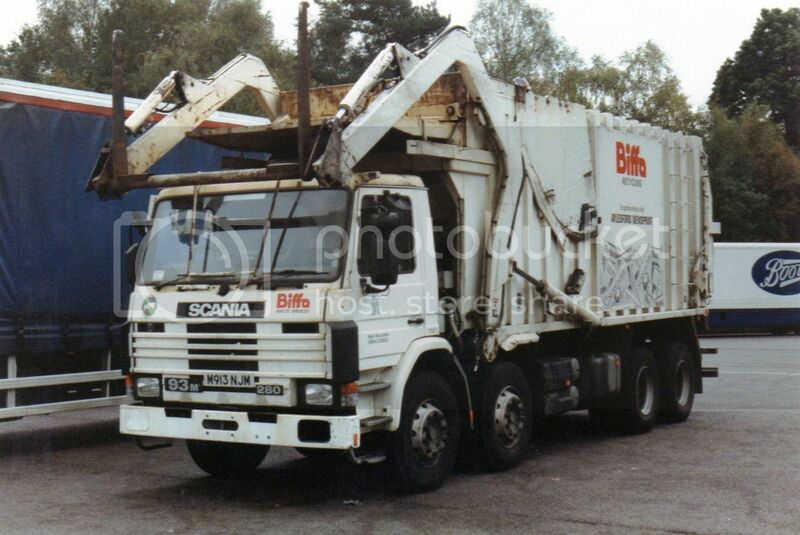 Scania P93m 8 wheeler of Biffa Waste's recycling division. 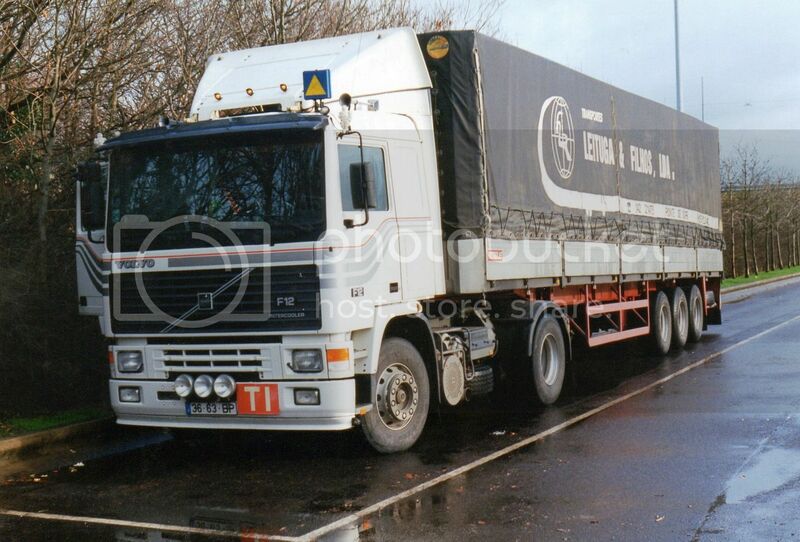 Volvo F12 and tri-axle trailer from the Portugese operator, Leituga & Filhos. 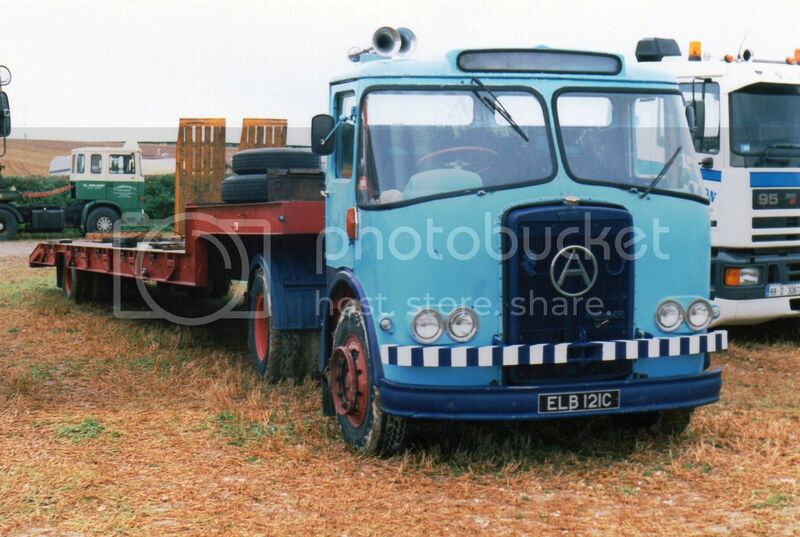 Leyland 20.32 with no identification, apart from a large eagle on the front panel. 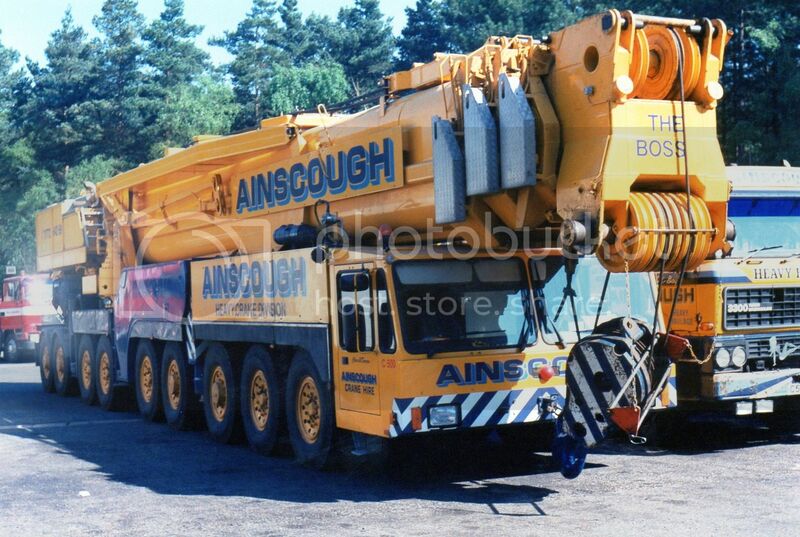 Ainscough's heavy crane division has some big cranes. This one is called "the Boss" for obvious reasons. 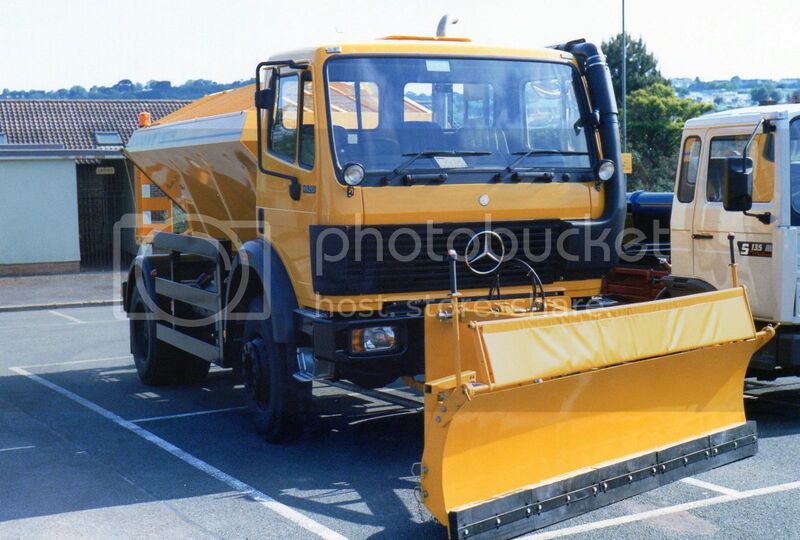 A brand new gritter and snow plough on a Mercedes 1820. 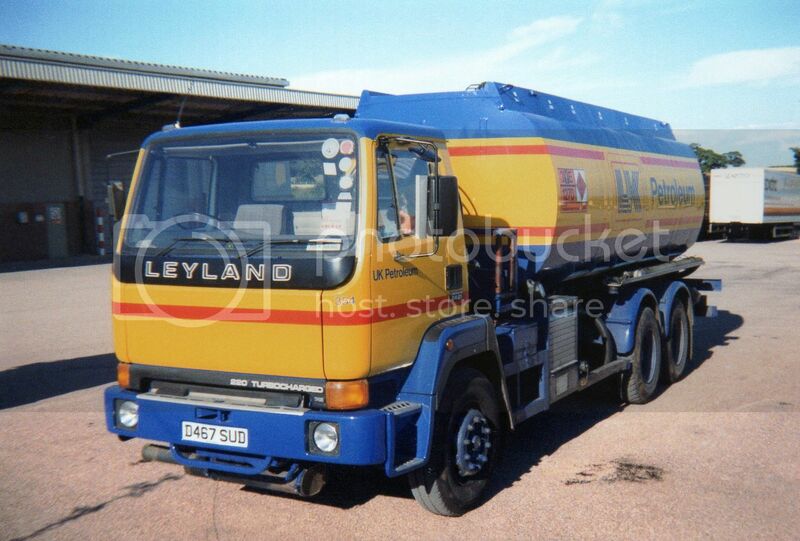 Distinctive livery of UK Petroleum on this Leyland 24.21. 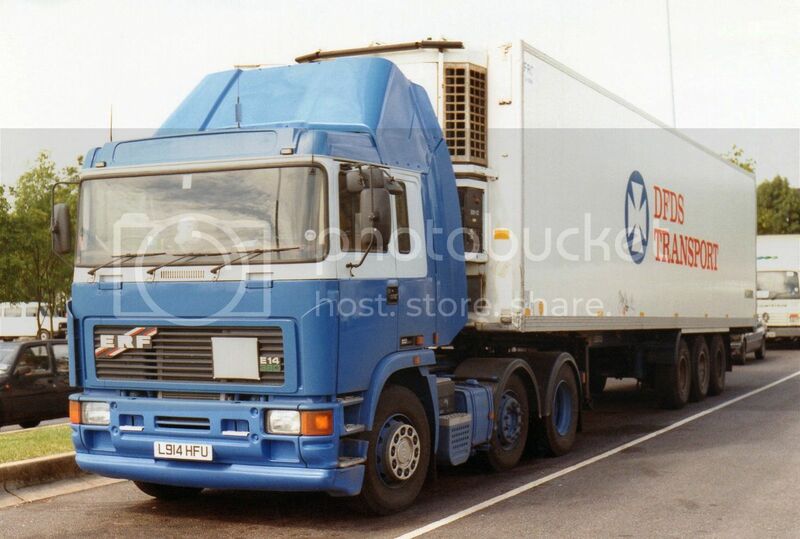 E14 ERF pulling for DFDS Transport. 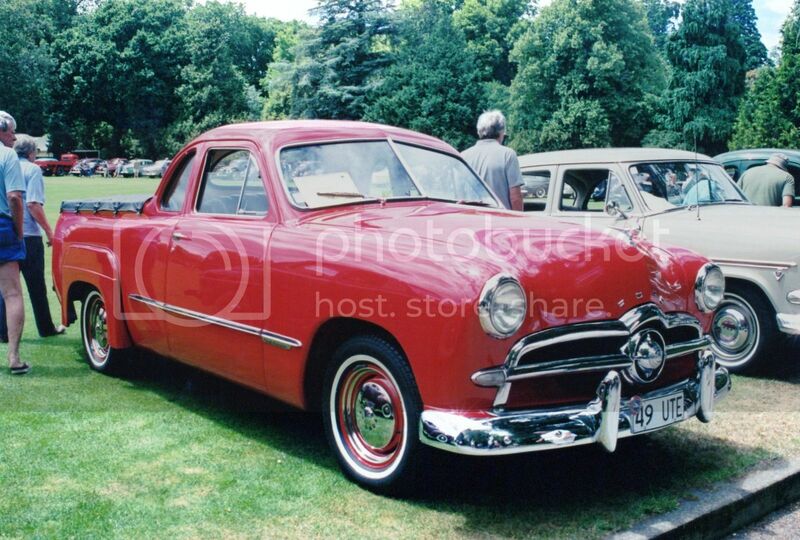 Late 50s to late 60s Atkinson. 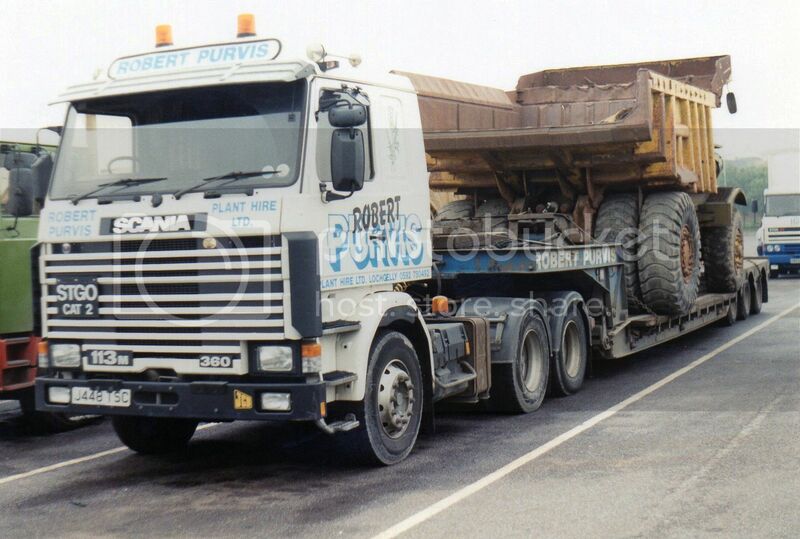 Robert Purvis from Scotland uses a Scania R113M 360 to move loads for his plant hire business. 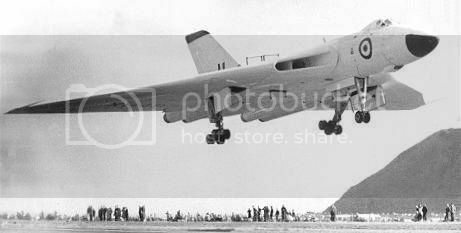 Anyone who is my age or older, may remember the incident with the Avro Vulcan XH498 at the opening of the new Wellington Airport in October 1959. The Vulcan was meant to touch-and-go, but touched down heavily a little short of the runway, causing damage to the port undercarriage leg. What could have been a disaster was avoided by the pilot applying full power immediately and getting the aircraft airborne again. Here is the Vulcan powering away with the damage to the undercarriage obvious. With fuel leaking, the aircraft flew to Ohakea to make an emergency landing. The touchdown at Ohakea was near perfect, but with the Vulcan slewing off into the grass as the damaged gear collapsed under the weight. In this picture it can be seen that the canopy has been jettisoned ready for the two crew members on the flight deck to eject which, of course, wasn't necessary.The rest of the crew would have had to make their own way out through an escape hatch in the bottom of the fuselage, which they had originally been ordered to do, but all had faith in their commander and decided to stay with the ship. Earlier this year, retired Wing Commander Bryn Lewis, who was the navigator on that day, visited Wellington and told how he thought he, and members of the public, were going to die. Bryn is now 88 years old. 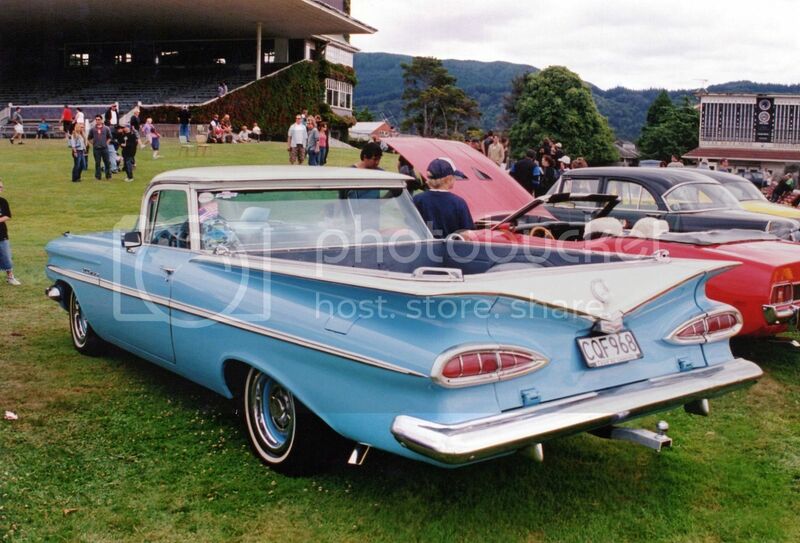 More Northern Hemisphere pics from unidentified sources. They certainly use every available space. 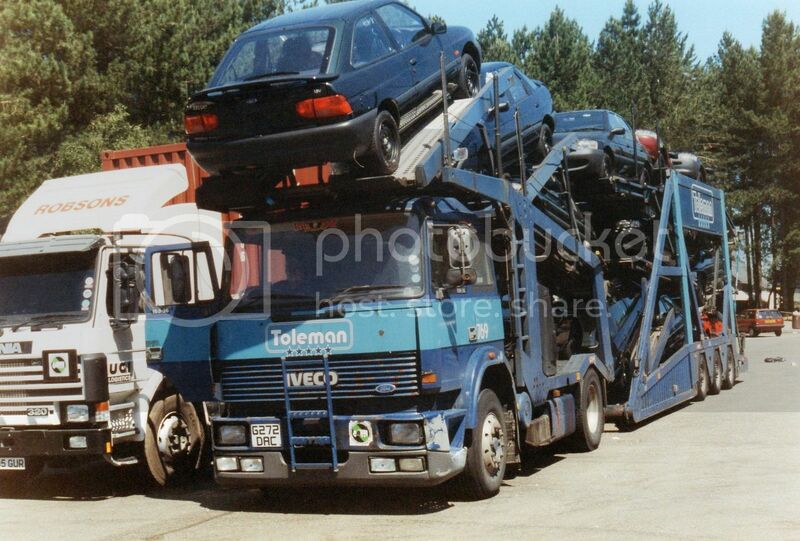 Toleman IVECO is carry 12 cars. 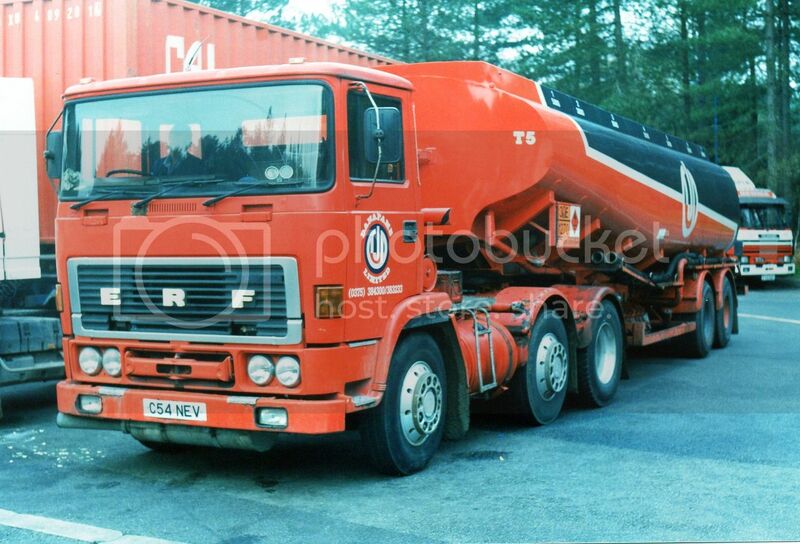 Going by the colour of the livery, I wonder if this is the company that used to be Edwin Shirley Trucking. 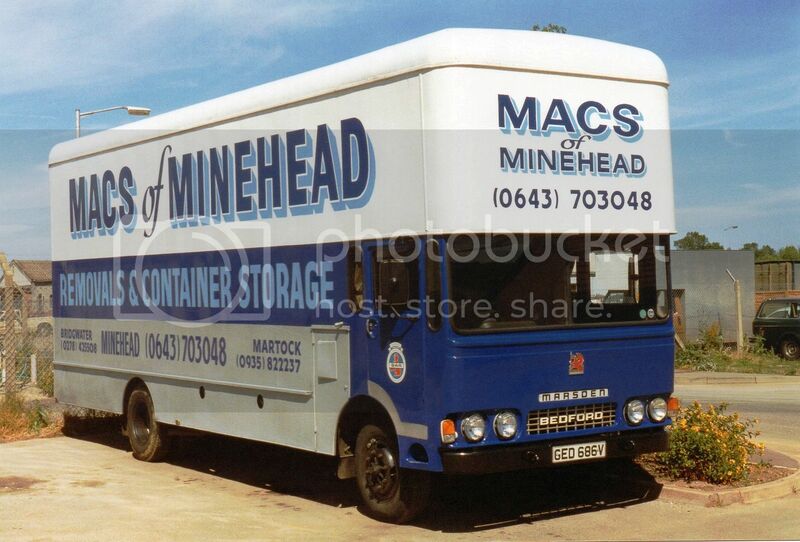 They used to specialize in moving all the gear for rock bands. 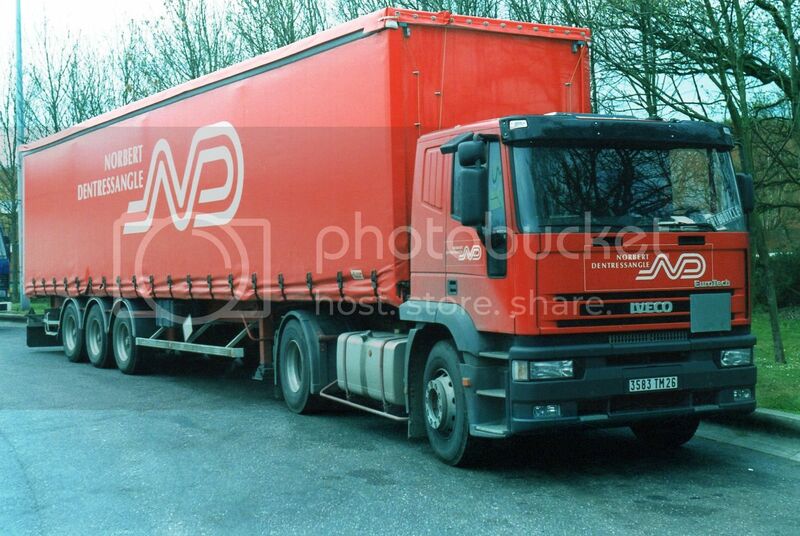 IVECO of the French, Norbert Dentressangle organisation. 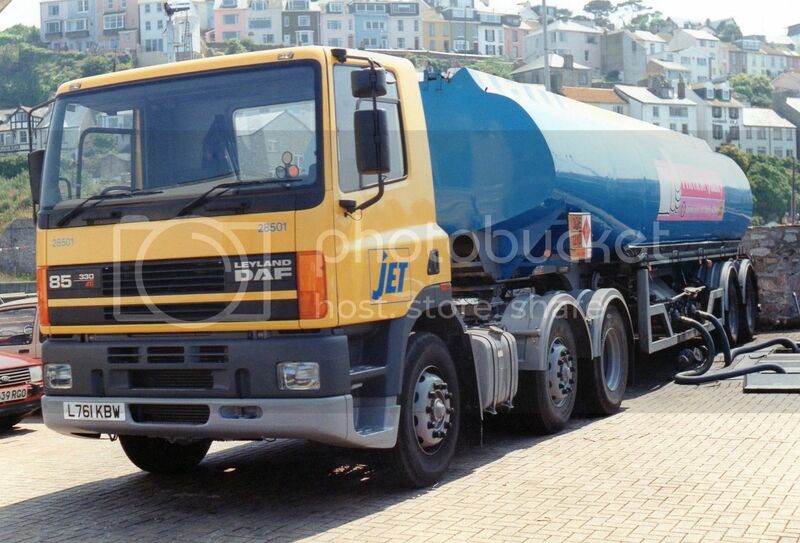 Leyland DAF of the Jet fuel distribution network. 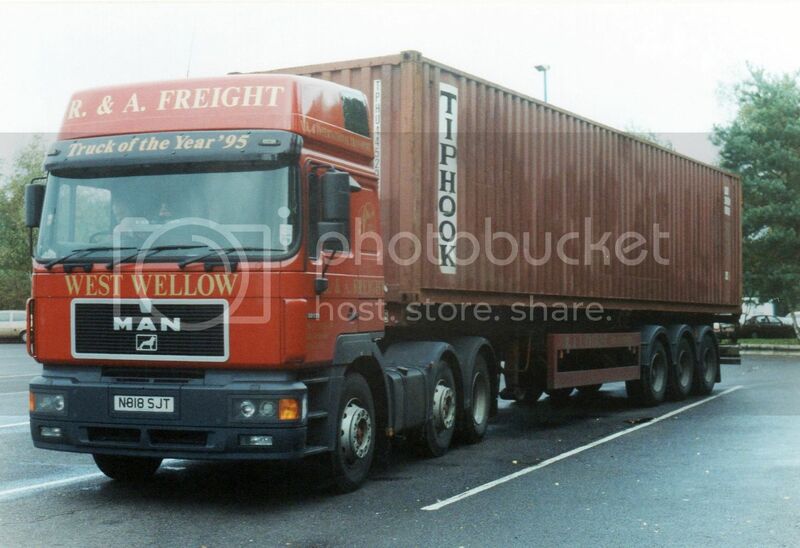 High-rise cab of a MAN 6x2 in the colours of R&A Freight from West Wellow, Hampshire. 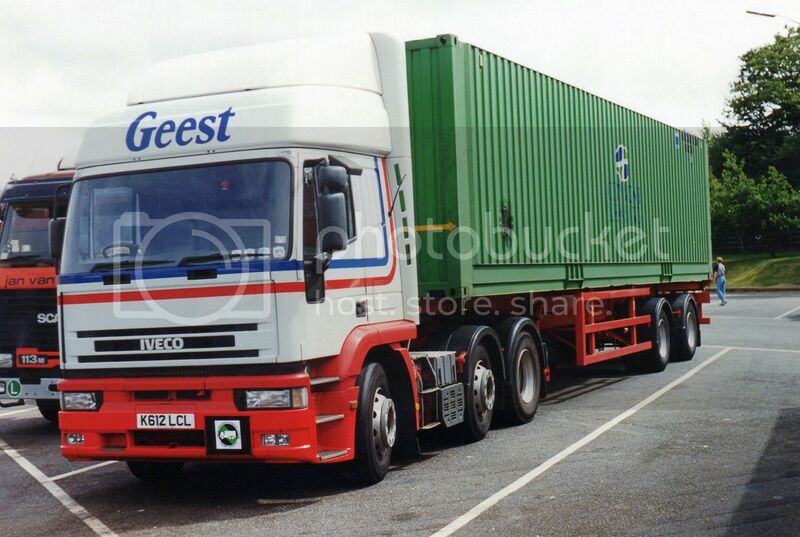 Nice simple livery on this IVECO of the Geest Shipping Line. 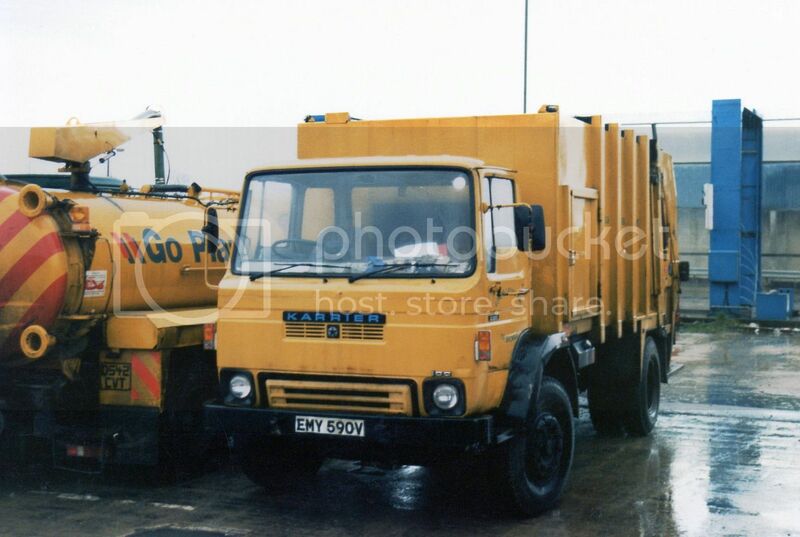 C series ERF with tanker of the Danafame road haulage company from Grays in Essex. 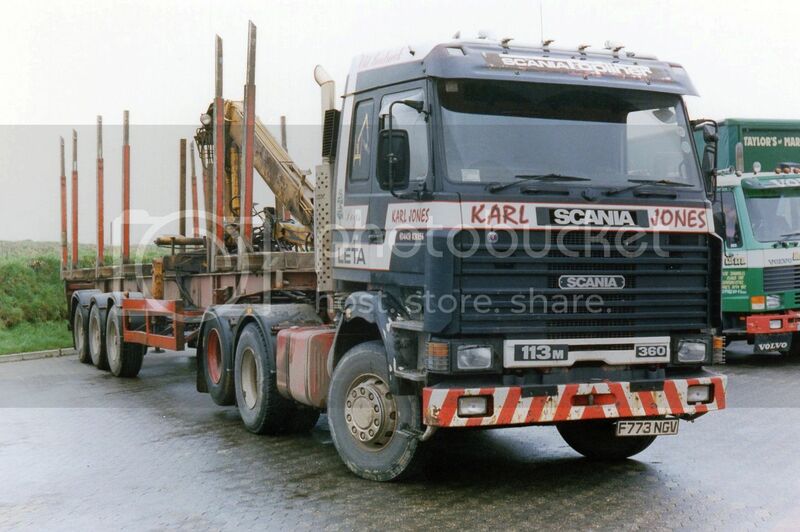 R113M Scania of Karl Jones. I wonder if he's a distant relative? 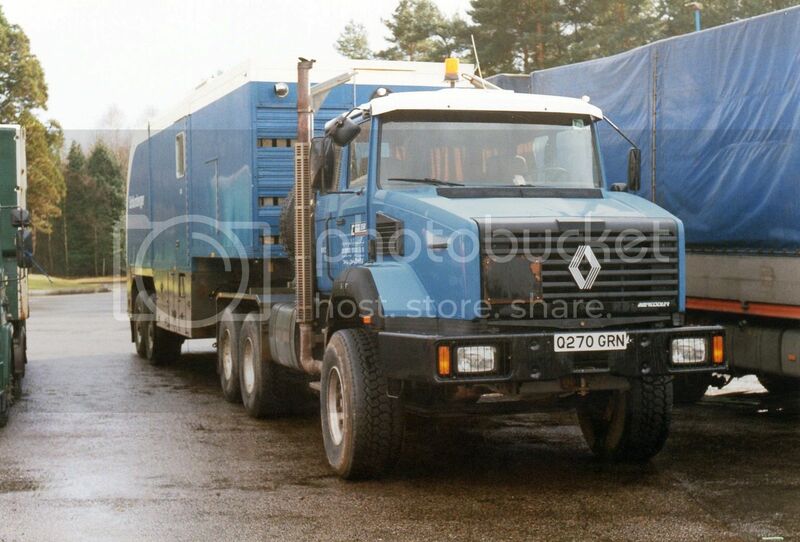 Unusual C series Renault has LHD, vertical exhaust and sleeper cab. 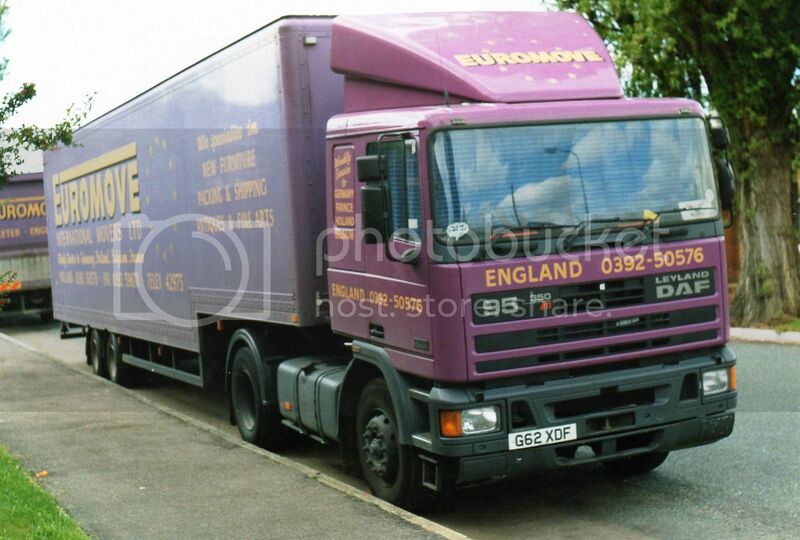 Not sure what the trailer is built to transport. Some sort of livestock? 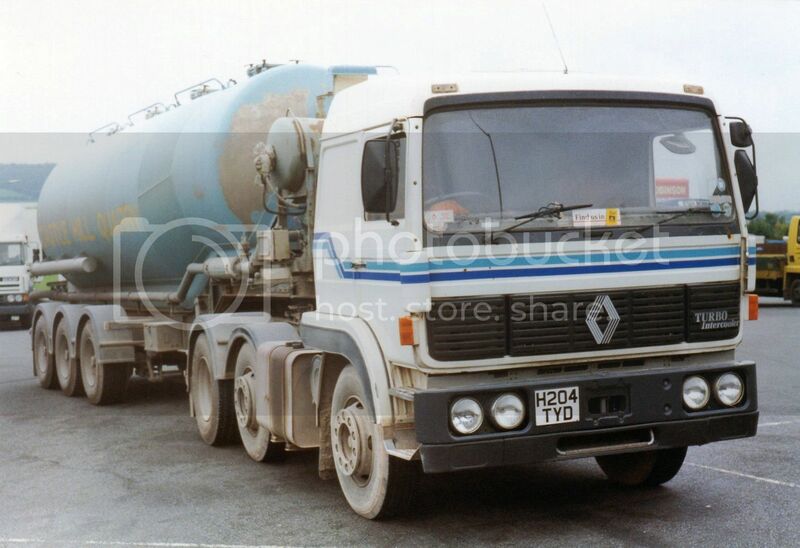 Renault Midliner 6x2 with what is possibly a cement tank, branded Castle Hill Quarry. 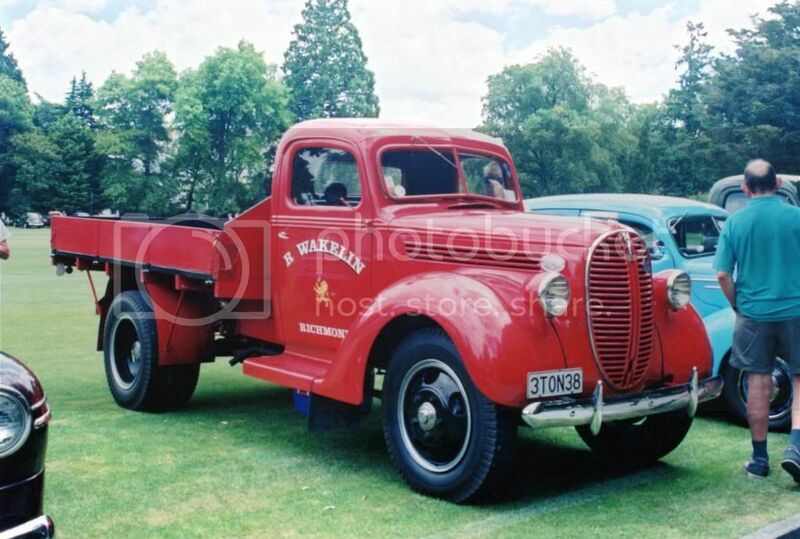 Very neat Marsden integral body on a Bedford chassis. 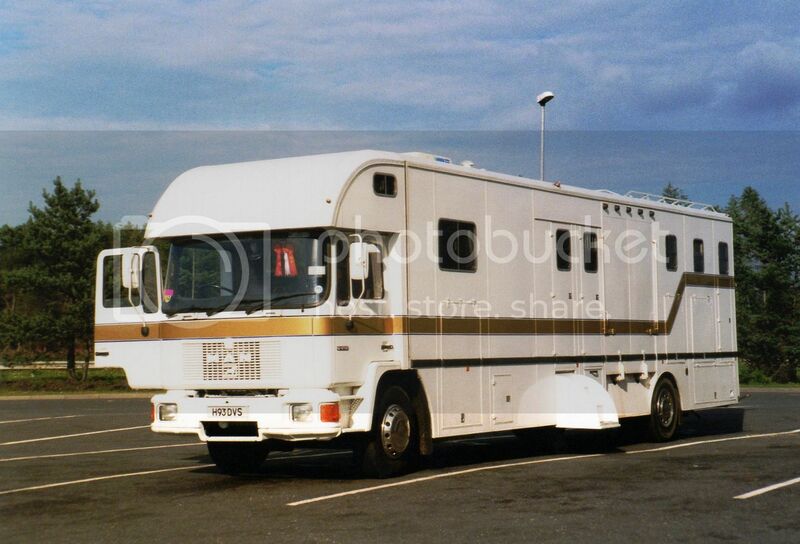 MAN 17.232 with horse box.